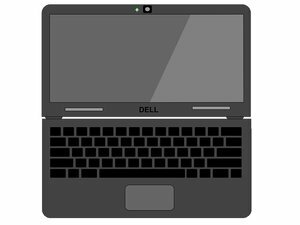 Have you ever created an account on Dell’s website to purchase computer equipment? If so, your account may have been compromised. As a precaution, Dell has forced password resets for every account on their site. You’ve likely already got a notification sitting in your inbox with a password rest link and additional instructions and information. The company stressed that no credit card data or other sensitive information was at risk and that the incident did not impact any of Dell’s products or services; only the web portal itself. At this point, the investigation is still ongoing, and the company has not provided any further information. As the investigation winds down, we may get a final report from them about the matter. If you have an account on Dell’s website, be sure to check the email address you have on the account and reset your password at your next opportunity, just to be safe. It should go without saying, but unfortunately, recent data indicates that a shocking percentage of people are still using the same password across multiple web properties. If you’re one of the legions of people still doing that, now would be an excellent time to rethink that strategy. While there’s no solid indication that any information was stolen, it’s always a possibility. If you’ve recycled your Dell password and used it on other sites, you may be exposing yourself to tremendous risk and damage that could take months, if not years to recover from.